On Sept 29, 1940, two Avro Anson australians were conducting a training flight when both were out of sight among the clouds. The N4876 fell and landed on the L9162 being joined by the mass of iron in the plane crash. The situation looked very critical as everything indicated that both aircraft would crash into the ground while trying to land. However, both crew managed to land one on another, with only minor injuries. The trainee pilot L. Fuller got to plan a distance of 8 km up to land at the aerodrome of Wagga. The device above only received minor damage and was returned to service shortly thereafter. The bottom suffered more damage and was used as the cell of instruction to be very high repair cost. Fuller was sent to fight in Europe, with the RAAF, and won the Distinguished Flying Medal for his service. In a twist of fate unworthy of such distinguished acts of aviation, was killed in 1944 when he was hit by a bus while riding his bicycle in Sale, Victoria. 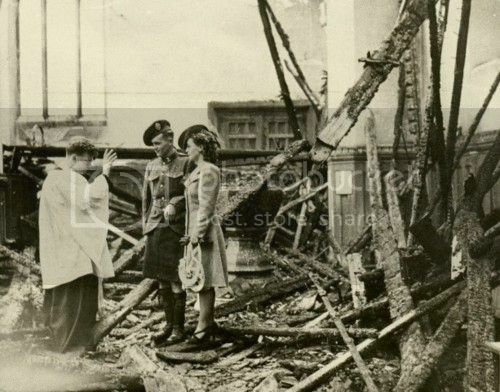 On 20 April, 1941, the morning after 150 incendiary bombs had gutted St. Bartholomew’s, East Ham, UK, a bride and groom arrived at the wrecked church. They found charred timbers and ravaged walls were all that was left of the church where they were to be married that day. But Helen Fowler, aged 20 of Caledon Road, East Ham and her Canadian soldier sweetheart, Cpl. Christopher Morrison, aged 21 of the 48th Highlanders stood proudly amid the ruins of the bombed-out church and married anyway. The wedding of the corporal from the 48th Highlanders and the Dagenham Girl Piper made front page news in Britain and Canada. Local papers of the time were not allowed to reveal it was St. Bart's that had been wrecked by fire until months afterwards. News blackouts were in force to keep information from the enemy, and in some cases the public. Radoje Ljutovac – Raka (1887/1968), was a serbian army artillery soldier who shot down an enemy aircraft with a cannon in 1915. During the WW1 he was assigned to the newly formed Anti-Aircraft Battery. On September 30, 1915, during the attack of three enemy aircraft on Kragujevac, Radoje Ljutovac – Raka managed to shoot down the enemy aircraft from the first try, and was later awarded with the Order of the Karađorđe’s Star with Swords and was promoted to the rank of corporal. 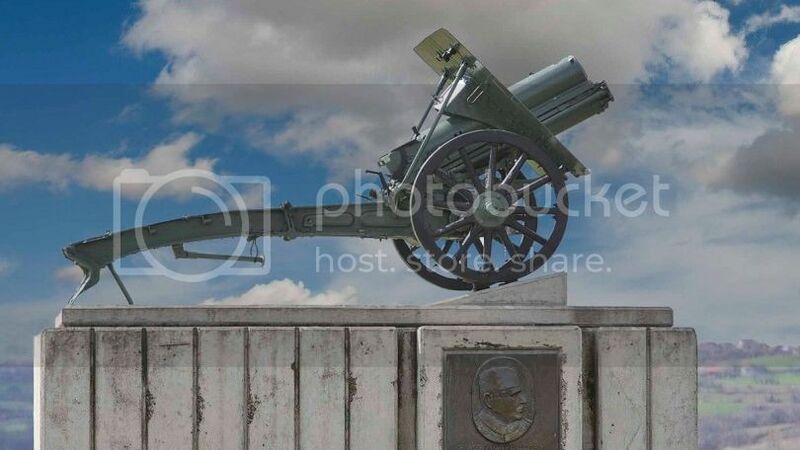 This moment is considered the beginning of the Serbian air defense, and according to the available data, it was the world’s first aircraft shootdown with a cannon. The picture shows the memorial to Radoje Ljutovac on the hill Metino brdo in Kragujevac, Serbia. 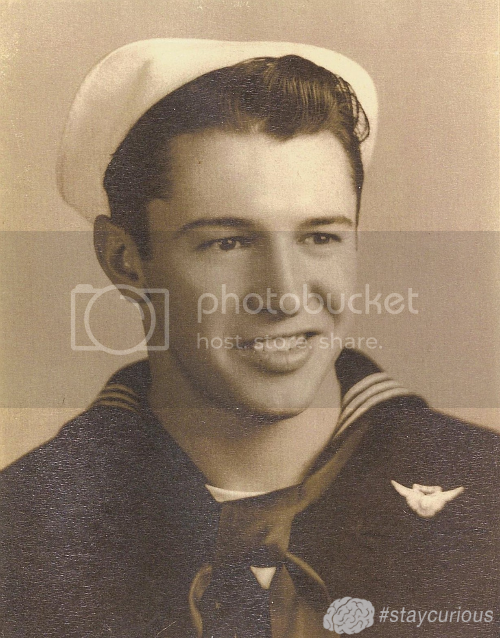 Calvin Graham (April 3, 1930 – November 6, 1992) was only 12 years old when he lied to get into the US Navy. He wasn't found out until he was wounded at Guadacanal. He was dishonorably discharged, but his benefits were restored eventually. Never heard that before... great story. I remember watching a documentary on it somewhere, but can't recall where. Fanny Schoonheyt, born in Rotterdam in 1912, was the only woman among the contingent of dutch volunteers to take up arms in defense of the Spanish Republic. There were other dutch women in Spain during the Civil War, but they generally worked as nurses. Fanny was already in Barcelona at the outbreak of the war and participated in those July days of 1936 in the defense against the military coup. Fanny immediately joined the antifascist milicias and as early as July/August ‘36 left for the Aragón front, where she stayed till November when she was wounded. Fanny Schoonheyt died in 1961, age 49. Sharbat Gula the Afghanistan refugee aged 12 years old in 1984 when she became a world wide icon after featuring on the cover of National Geographic and how war and time has aged her. During the Dunkirk evacuation on 1940, the smallest boat to take part was the Tamzine. 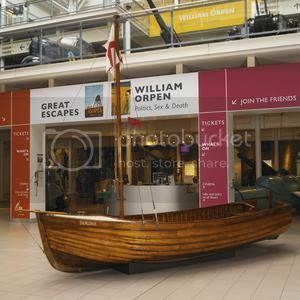 Tamzine is a light yet strong 15 foot long, clinker-built, wooden fishing and sailing boat built at Margate, Kent in 1937. Now in the Imperial War Museum. On the 2nd December 1804, Napoleon Bonaparte crowned himself Emperor of the French at Notre Dame Cathedral in Paris. His coronation was attended by Pope Pius VII, but significantly he did not place the crown on the new Emperor’s head. On dec 24, 1979, the Soviet Union invades Afghanistan, under the pretext of upholding the Soviet-Afghan Friendship Treaty of 1978. The japanese destroyer Hayate was sunk by american coast-defense guns during the Battle of Wake Island in December 1941 and was the first Japanese warship to be lost during the war. Only a single man of her crew was rescued. The USS Narkeeta (Harbor Tug No.3), a two-masted steel tug, who served the Navy, here with an experimental "brickwork" camouflage scheme in 1917. Black stripes on the white background produced a soft gray effect at moderate distances. Larger black patches were applied to those areas which usually reflected light. Visibility of the ship was reduced when the light was behind the observer. In 1943, during the war, the security measures in all US military installations and ports were very strict. For example, the authorities of the Port Authority of Baltimore, Maryland, issued an official identification card for Herman The Cat: The best mouse hunter of the US Coast Guard. Although Argentina was the first country on the continent of South America to establish a paratrooper force, Peru was the first to see action in the 1941 Ecuador-Peru conflict. 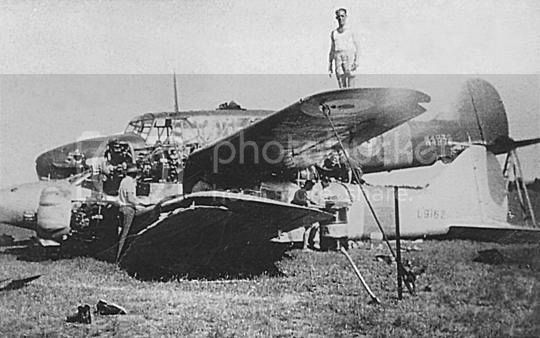 During the Ecuadorian–Peruvian War, the Peruvian army had established a paratrooper unit and used it to great effect by seizing the Ecuadorian port city of Puerto Bolívar, on July 27, 1941. Detail: paratroopers over Puerto Bolivar. The USS Oklahoma was struck by several torpedoes during the attack on Dec. 7, 1941 by the Japanese. The ship rolled in its berth and 429 sailors were killed. Two years later, the ship was righted and human remains recovered, although only 35 could be identified. The remaining 388 unknown casualties were buried in mass graves at the National Memorial Cemetery of the Pacific in Hawaii. Efforts began in 2015 to recover the remains and identify them using DNA analysis. Six sets of brothers died on the USS Oklahoma, including one set of identical twins: Leo and Rudolph Blitz (both 20). One by one, the sailors and Marines of the ill-fated battleship USS Oklahoma are coming home. To the dismay of post-WWII Iceland, currents often carried floating mines to Iceland’s rocky coast, where “tails” of rusted-through chains snagged rocks, causing the mine to pop up and regain tension, rearming itself. 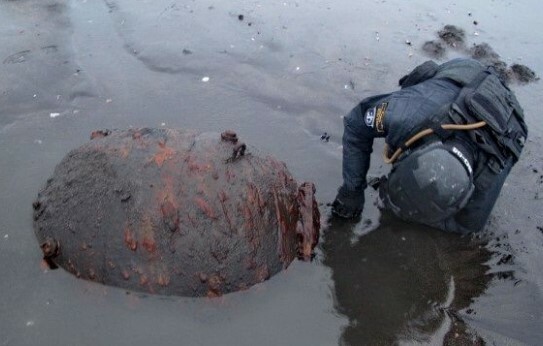 Even dead WWII mines with their contact horns gone present a danger in Iceland, as deep currents rolled sunken mines ashore over many decades, with the small bursting charge inside undamaged by sea pressure. Above is a British Mk.XVII mine being inspected by an EOD specialist of the Icelandic coast guard in 2016.